I can’t count the number of trips I’ve made to ASA Wright in the past, and each time I see a new bird to check off my list. This day, they were out in all their splendid glory. I was invited to accompany a friend to ASA Wright as she was acting as tour guide to a visiting friend of hers from Cuba. I honestly didn’t expect much in terms of bird activity as it had been raining seemingly nonstop for more than 24 hours. Its not often that I am wrong, but I was definitely happy to be wrong. THE BIRDS! Amazing to watch them soak up the rain drops as if the sun were shining brightly. I always look forward to hearing and hopefully seeing the Bearded Bellbird, and again I wasn’t disappointed. A juvenile male sang for me as soon as I stepped onto the verandah, though we couldn’t locate him. As usual we embarked on the walking tour, but today it was different, it was wet and muddy. I was thankful to be wearing hiking boots. Even the tour guide went for a small slide. The birds were scarce on the trails where you’d usually hear lots of singing. Even the Manakins weren’t clicking loudly, as the usually do, but we managed to see a couple as they jumped from tree to tree. Much to my delight, as were were making our way backup the trail, a Bearded Bellbird starting singing nearby and came into view. I wasn’t able to capture any photos this time, but I was happy to see him high above us. 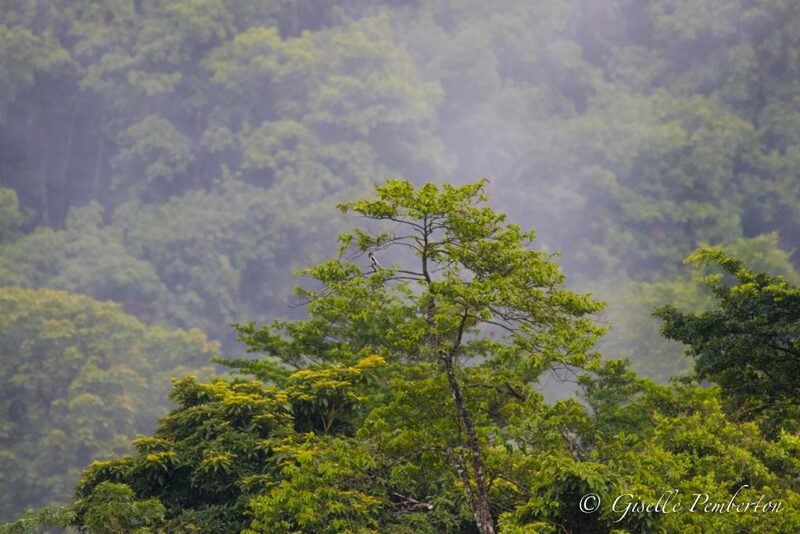 Before I left I was able to capture a couple shots of one sitting quite far away atop a tree, but we could hear him clearly from the verandah. See if you can find him. 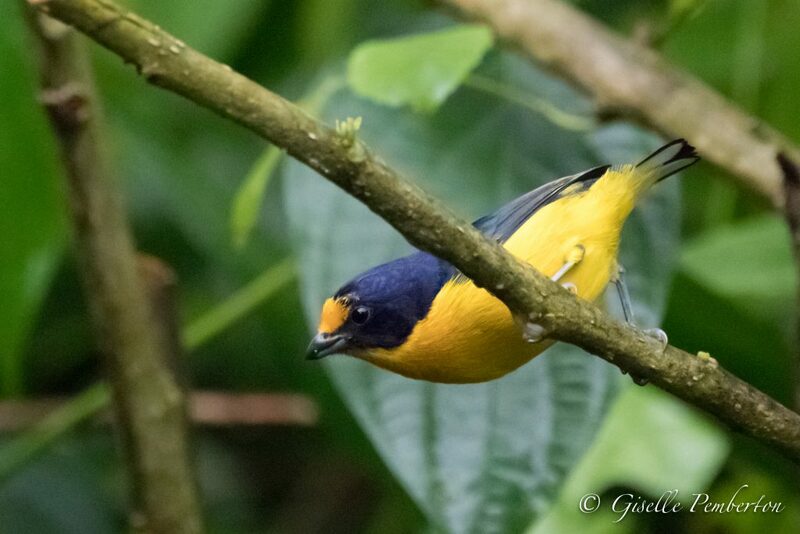 This was my first time seeing the Violaceous Euphonia and more than that, so many of them at the same time as they posed and preened. 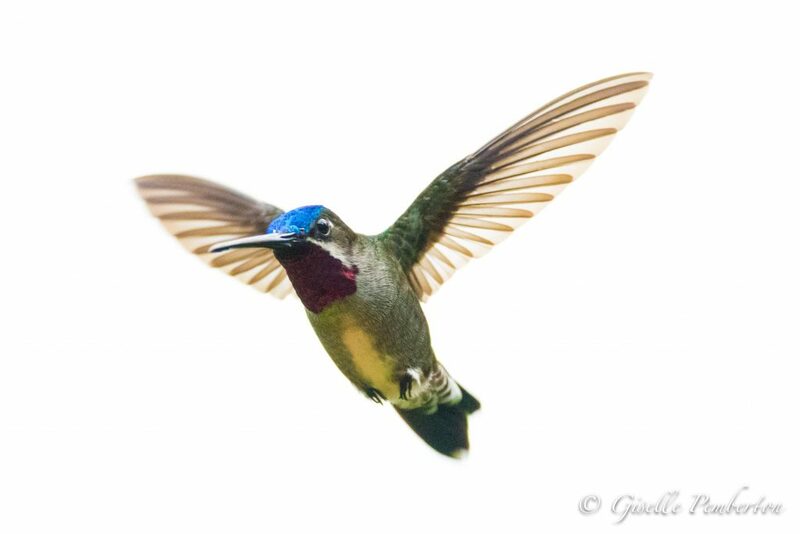 The beautiful long-billed Starthroat Hummingbirds were also a first for me, and oh did they perform. 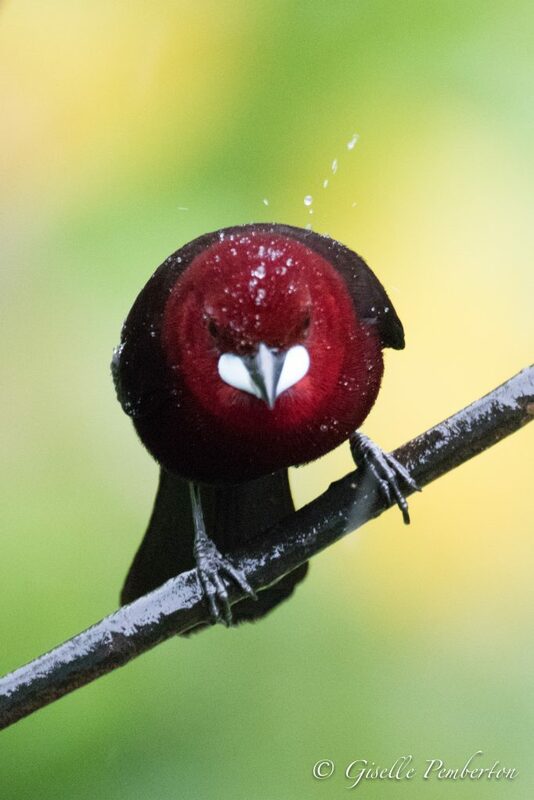 Many of the birds seen on this trip I’ve seen before, but they seemed to revel in the rain as I’ve never seen before. I might be tempted to only visit during light rain if it means that I can bask in the joy of these wonderful creatures.